You are here: Home / NEWS / Blog / Job Hunting? Avoid These Common Mistakes. When searching for work, it is important to remember that employers are evaluating you on all aspects of the job search process. From the application to the interview, you always need to put your best foot forward. New research, however, shows that all too often, job candidates make myriad blunders that damage their chances of finding work. 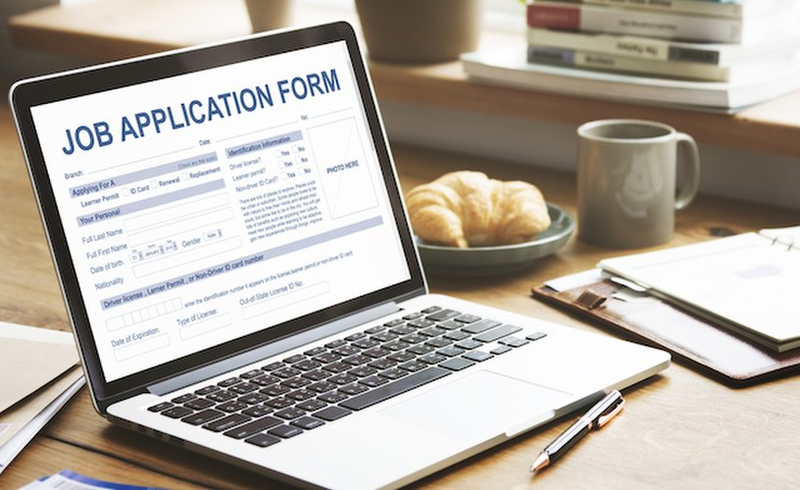 The study, from the staffing firm Accountemps, revealed that there are a variety of mistakes job seekers regularly make on their applications and resumes. The most common error candidates make is not customizing their materials to the job they’re applying to, the study found. Other application and resume mistakes executives see on a regular basis include not proofreading for typos or poor grammar, focusing on job duties and not accomplishments, and including irrelevant information. But having great application materials is only one step of the process; the research also found that many candidates are unprepared for multiple aspects of a job interview. The most common error the executives surveyed said they experience is interview candidates who have little or no knowledge about their organization. Other common interview errors job applicants make include unpreparedness to talk about their skills, experience, career plans and goals; a lack of enthusiasm; lateness; and failure to make eye contact. Keep it relevant. When filling out an application and submitting a resume, only include facts that would interest an employer. This includes your credentials, experience and accomplishments. Double-check your work. Don’t ruin your chances of getting a job by not proofreading your application, resume and cover letter. Just one typo can eliminate you from consideration. In addition to reviewing your materials on your own, ask a friend to proofread them as well. Spend time preparing. You need to take all aspects of the job search process seriously, and that means putting in some extra effort. Research the company: Check out its website, and read any recent news articles. Then, take what you learned and incorporate it into your cover letter and interview responses. That shows you can make a connection between what the company needs and what you have to offer. Be honest. Lying about your experience is unacceptable, and so is exaggerating about it. Being caught in a lie will not only kill your chances of being hired with that employer but also could damage your reputation with others. Review your online presence. Before starting the job search process, make sure you know what others can see about you online. Be sure to remove any social posts that an employer might consider unprofessional or inappropriate. Be ready to talk money. Be prepared to discuss salary when it comes up. Know what the compensation range is for the job you’re applying for and where someone with your skills and experience fits into that. Use a variety of sources. When looking for job openings, don’t spend all of your time online. Attend industry events, join professional associations and tap into your network of contacts to find openings that might not be posted online. The study was based on surveys of more than 2,200 chief financial offers from companies in more than 20 of the largest U.S. metropolitan areas.